This one’s inspired by my dear friend Bronson. We’ve been emailing and texting each other for over 10 years. But in all that time we’ve never met in person; until about 2 months ago. We’re the same age and both have pretty fond memories of the 1980’s. Bronson was showing me pictures of his office, and the walls are covered in framed 80’s electronica albums. In my bachelor pad, just a few short years ago, I had a wall of framed records too. And I still have all those records in a box. Not sure if they play anymore……but all my favorites are here; Abby Road, Glass Houses, Rumors, and Thriller…..
…..and wouldn’t you know it……there are about 20 Christmas records in the mix. How about if I do a wall of records for the holidays? This is the wall next to the front door in our house. A scrapbook of our lives. Perfect place to put my records for the next month. 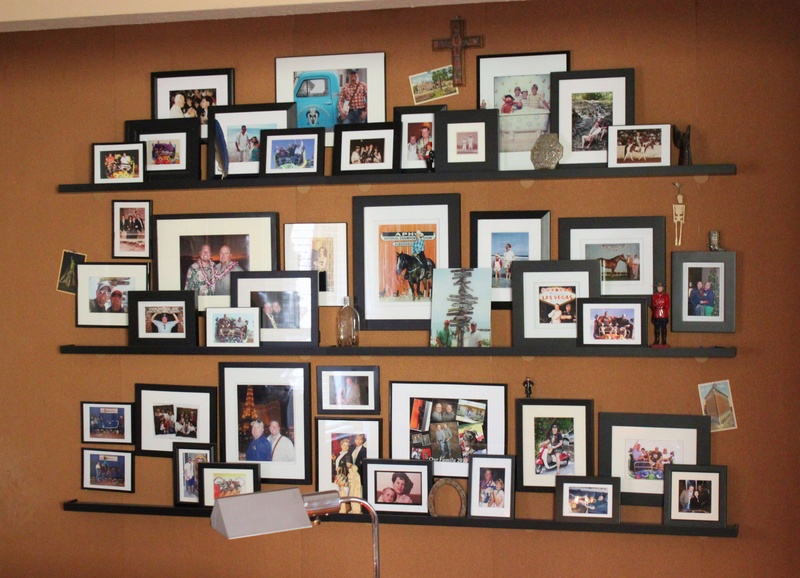 I still have frames….but if y’all wanna copy this look, record frames are pretty easy to find. 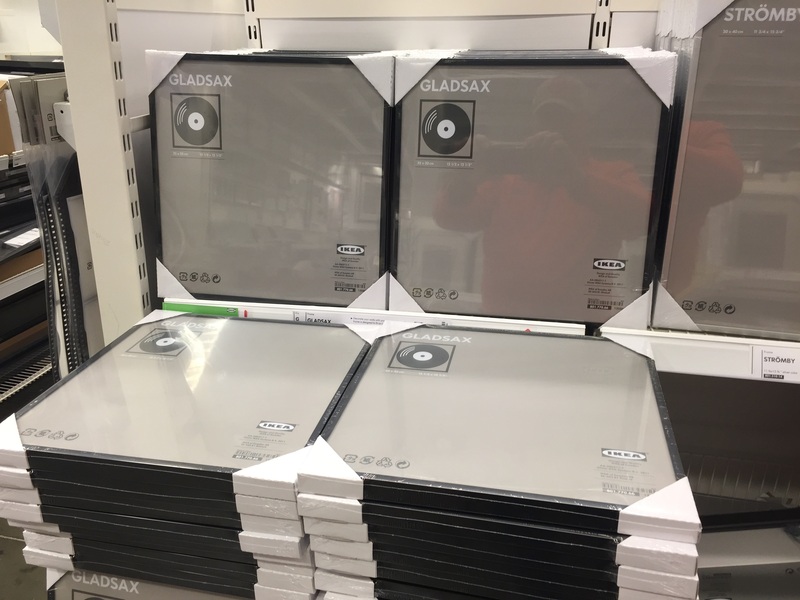 These frames are 7 bucks at Ikea, and we found 3 packs at Michael’s for 10. 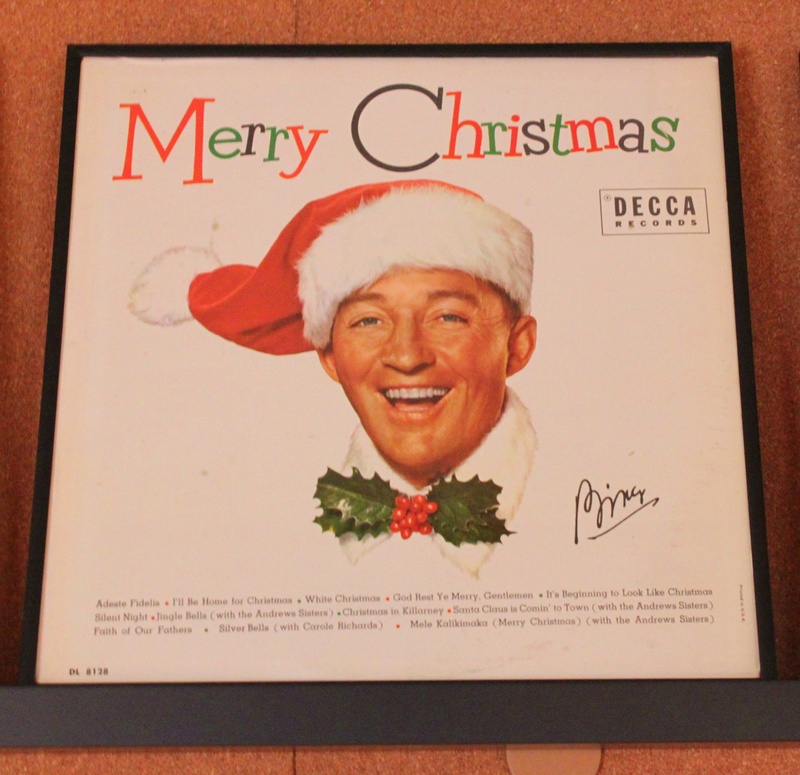 In about 20 minutes I’d framed 15 classic, and slightly juvenile, Christmas records. 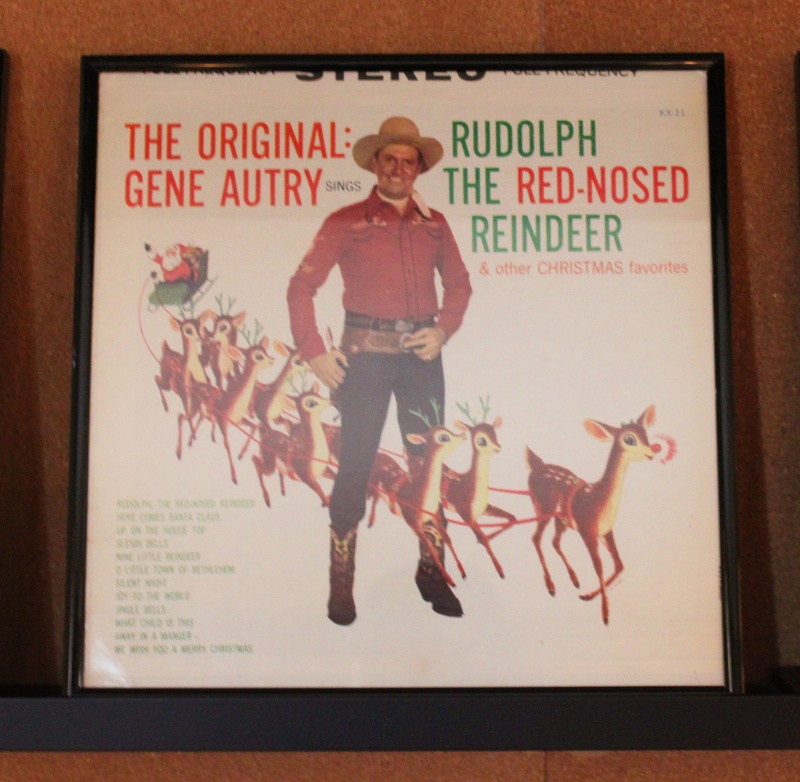 I love a cowboy, and who’s a better Cowboy than Gene Autry? 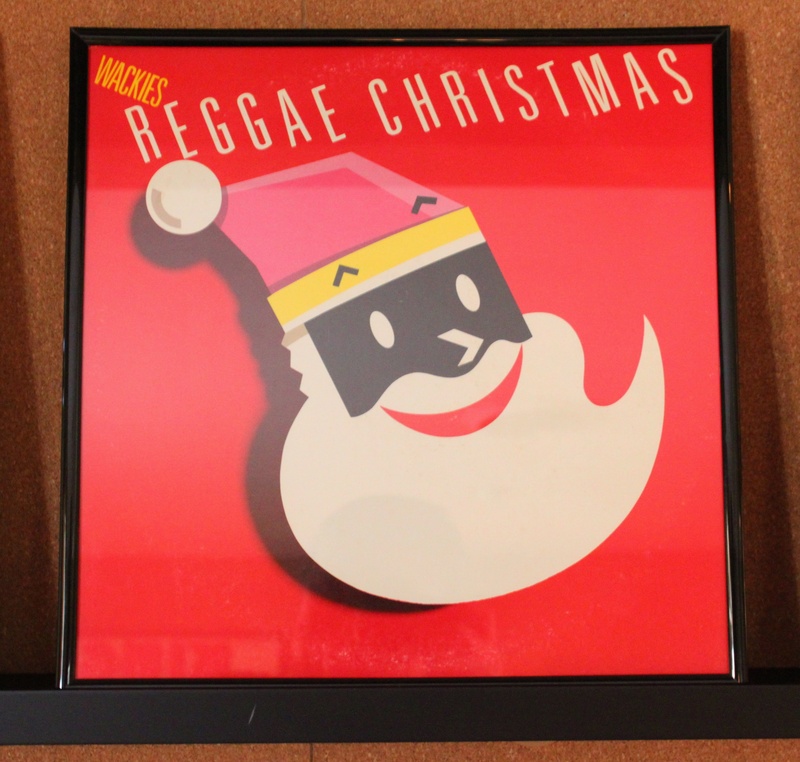 How great is the graphic on this Reggae Christmas album? 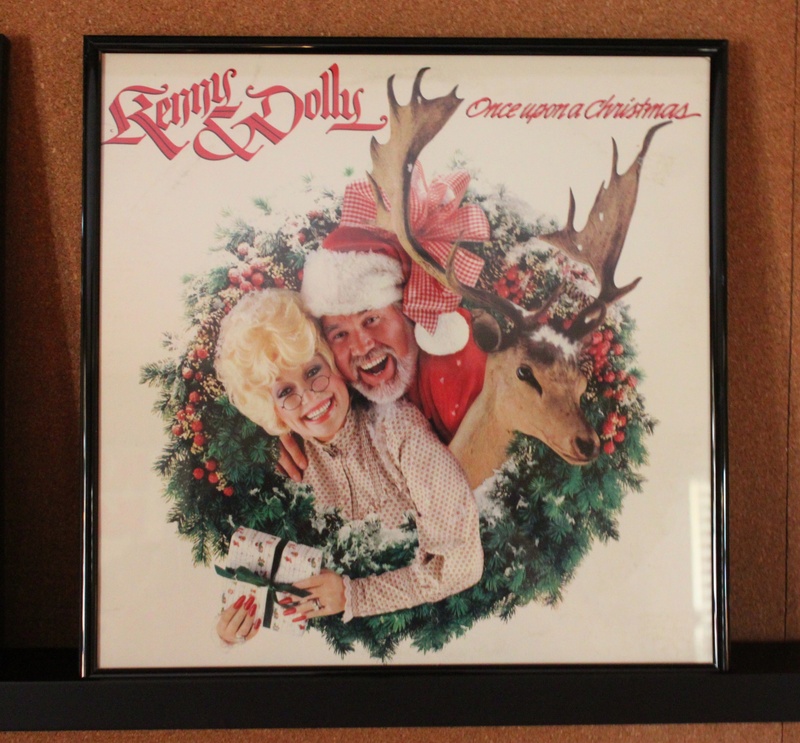 Nothing says festive like Kenny and Dolly with a severed Reindeer head? And check out those red talons on Dolly….. I think I wore this album out when I was a kid….can you believe that I still have it? It just wouldn’t be Christmas without Bing and his holly bow tie. Kinda diggin’ on the graphic, clean (yet still slightly junky) look of this……. 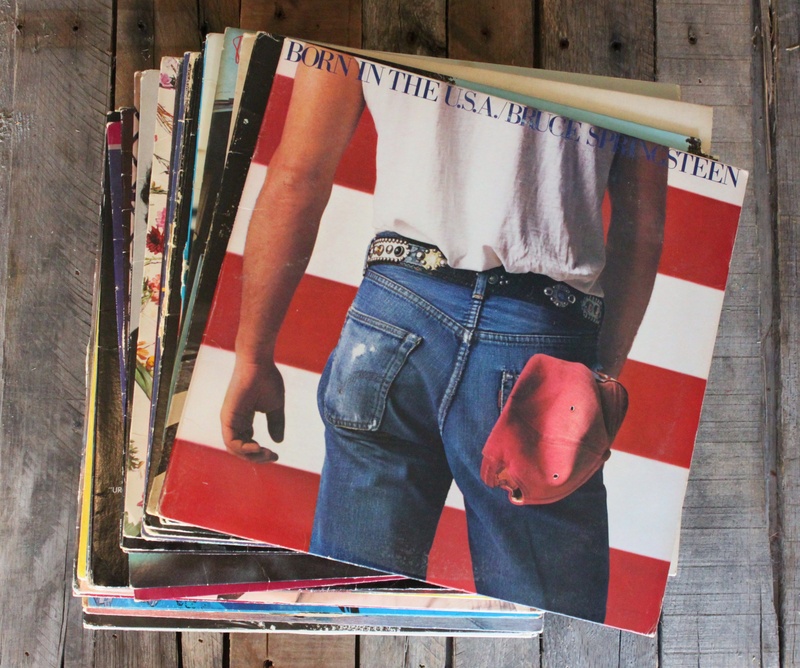 Gift suggestion: I could use a turntable…. I’d love to see your version. Glad to inspire! Totally love it. We had some of those albums as well…. I have been a lurker for a long time, but today I felt compelled to write you about a wonderful gift we received for Christmas. A record player from our kids. A Pendleton record player from Urban Outfitters …yes it would be perfect for your style. It is a Crosley Pendleton player and it is on sale now! Take a peek! P.S. Love love your blog! Y’all are so talented! A Pendleton rocord player!!!!!! Point me in the right direction!!! Thanks for the tip, Shel. 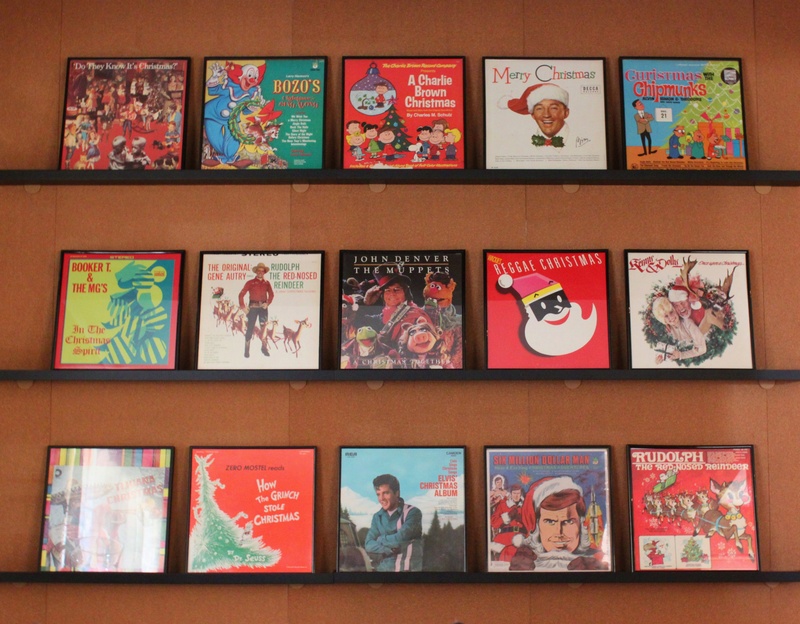 Love love love the Christmas album wall! My son asked for a “record player” for Christmas a couple if years ago. He went to college in Abilene at the time and went to a shop called “The Record Guys” They sell records and when they get them record players. My parents also lived in Abikene so I had them pick up the record player. What fun it was on Christmas morning to listen to Creedence Clearwater Rival and explain to my 24 yr. old just how the player worked and what all the parts were for!! Priceless!! Yes. You need a turntable! I haven’t had one in about 25 years…..Some albums, yes I say album, just need to be heard on vinyl…. I lurk but felt the need to tell you I love your blog! I’m pinning this to do in our music room. I’m also in Rowlett and love your posts around Dallas. I LOve when I move a lurker to comment…Thanks for reading along, Great to know that you are out there. It is on sale now for $160….free shipping and I am sure you can grab a code for more off somewhere. They have a delivery date yet for 12-24..
Hope this helps James..Happy Happy Holidays!! LOOOOOVE! Makes me want to get right on eBay and buy some of those albums just for the awesome covers!! Here is a coupon if you are interested in purchasing the record player..
Shel you are too sweet….and obviously determmined for me to own one of those things……But I have to wait and see what Santa brings me first…. This is so great, and sometimes I think we may be the same person — I framed 9 albums that amused me (from the thrift store because my old records are still at my parents’ house). My favorite is “President Ronald Reagan reads stories from the Old Testament” complete with a depiction of Ronnie reading to some strangely out-of-proportion children. 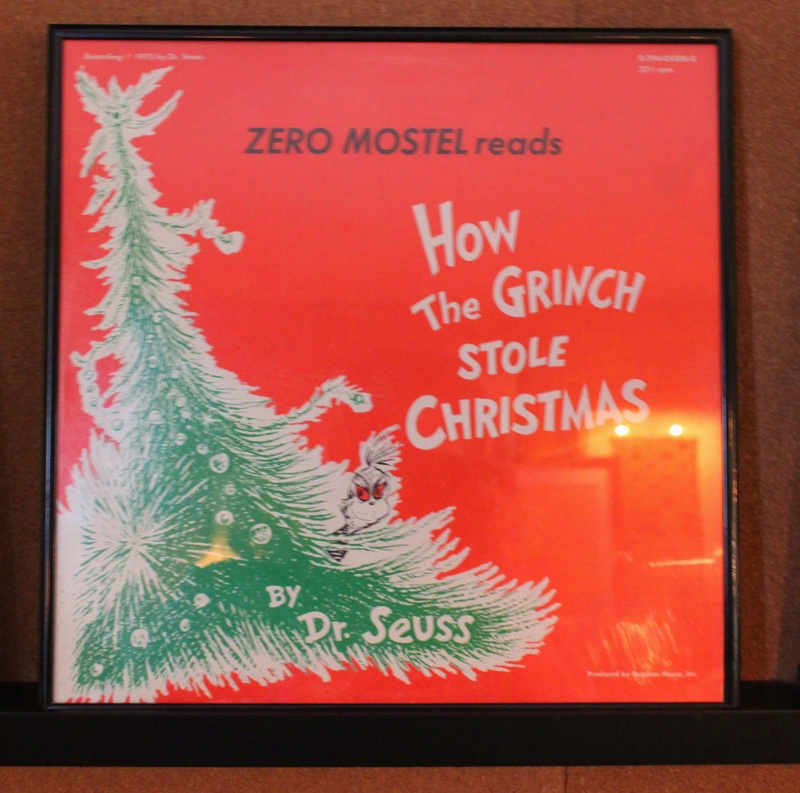 I bought a bunch of awesome vintage Xmas albums with the idea that I would switch the display out each year…but the frames were such a pain in the rear (and I am lazy) so the swap is not happening. Maybe in 2015! 🙂 Thanks as always for your wonderful blog. Best one out there, by far. First of all Elise, I’m blushing….you just can’t see it right now…..secondly, I started blogging to meet “like-minded” people. Looks like it worked. Love your blog – I just found it recently and love your ideas and recipes. 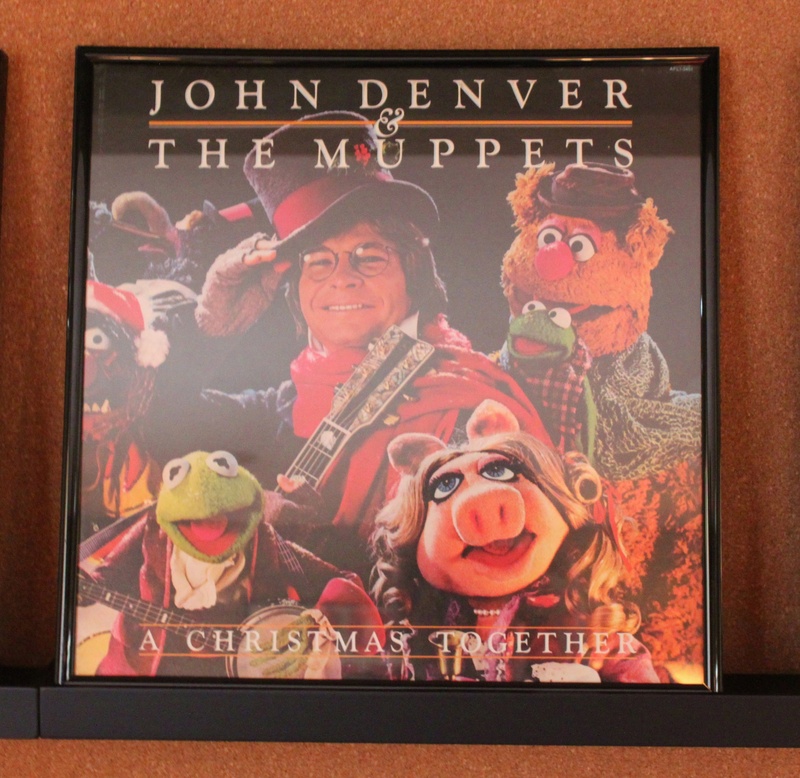 I have some album covers framed in my guest bedroom and replaced them with Christmas album covers. So much fun! Thanks for the idea! Hi Jeanette, Aren’t you just the sweetest? So glad that you found us….and glad that we can inspire.